As seen on the latest o7 show, the winter and spring are packed with new features and changes for EVE Online. From the small, in new frigates and destroyers (guys, the destroyers MJD everyone in a subcap), to the massive in Citadels. Overall, the somewhat somber mood from a few months ago seems to have given way to excitement about the future and there is a general feeling positivity within the community. With all the new things coming, we are faced with interesting questions to ponder. The changes to capitals are rather drastic, and there is no end to wild theories how this will play out in the PvP meta with all the new modules, changed roles and creative doomsdays. What is your impression of these changes, are they good for capitals and gameplay surrounding them? How much of a nerf do you think removing triage from carriers and disallowing refitting with an active weapons timer, along with removing EWAR immunity, will be? Do the new abilities such as new doomsdays and fighters compensate for it with interesting gameplay? Are Force Auxiliaries – essentially giving the capital line of ships a proper logistics ship – the right way to go? How should CCP handle all the people that have trained for, or are currently training for triage carriers? Secondly, we have the structures, and most immediately, the Citadels. Ranging from quite cheap for the medium ones, to very expensive with the XL Citadels coming in at 70b, how do you believe this will play out? Where do you see these structures in a year’s time? Are you personally excited about using them? What do you think about the new tethering mechanic and the fact that it is automatic, but also, what about the fact that being warp scrambled also means you cannot dock? Oh Takashawa: I’m still hung over from Vegas. No comment. It’s hard to see where these structures will be in 12 months time, but I can see them being used in such creative ways that the EVE playerbase is known for stretching and exploring. In highsec we may be limited to what we can build in size, but there are large entities living in high sec. The potential industry and market output from these player owned Citadels will make some of them landmark systems in New Eden. Jita will never be the same. Trade routes will be different all over high sec. High – null systems will very likely have some of the strongest trade and industry in the future. I am currently training to get into my Amarr triage carrier, and I am just fortunate I am still working on the hull skills. I am now more looking forward to using it as a carrier. The fighter squads and control mechanic looks very nice, so I feel I would still be entering a level field as a first time cap pilot. I can now also fly Gallente Dreads, but I am still a cap ship noob. So no doomsdays weapons for me yet. Maybe by they time Citadel is fully released I will have more options open to me. Neville Smit: I am pumped up about the developments happening for both citadel structures and for capitals. So far, the deliberate, phased approach that CCP has taken to update sov mechanics has resulted in a persistent case of “EVE malaise” – all of the changes introduced so far have all focused on how people fight in 0.0. Now, finally, with the introduction of citadels, we finally know what will be worth fighting for, besides posting the name of an alliance on a flag in a system. Further, the newly rebalanced and enhanced roles for capitals spell out what 0.0 alliances will be fighting with – this should breathe new life into what is currently an entire class of ships without any clear purpose. I predict that the Citadel update will reinvigorate interest in null-sec at a level we’ve never seen before – at least, I certainly hope so, as I can’t see anything else that CCP could do at this point to get null-sec denizens excited again. I’m also excited about what citadel structures mean for other types of space as well – especially high-sec. This could finally make high-sec war declarations meaningful, instead of the all-to-often absentee griefdecs they currently tend to be. 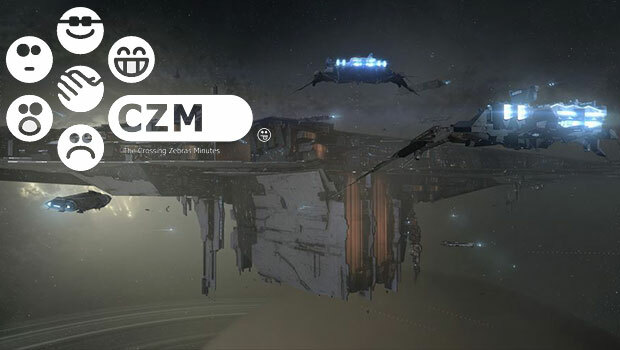 I speculated previously in CZ about how the new structures could lay the foundation for dramatic changes to empire space, which could change the whole complexion of EVE Online in ways we’ve never imagined. These are exciting times in New Eden, indeed. As for the specific mechanics that have been described so far, I like just about everything I’ve seen so far. Making capital ships vulnerable by introducing an EWAR resistance element means that even a lowly noob in a tackling frigate can actually make a bit of a difference against a titan, if he or she is flying with a large enough group. I love this – and I predict that we are going to see a lot more capital ship losses, and a lot more capital-on-capital slug-fests, too. The specific role of carriers as, amazingly, carriers of specialized fighter squadrons is a fantastic idea, too. I think that is going to make them a very challenging and interesting ship to fly. I’m on the way to training carriers now, and these changes have made me adjust my skills to make them my next priority. I’ll be very interested to see what kind of capabilities the new Force Auxiliary logistics capitals will provide – until we see the stats on those, it’s hard to evaluate them, but I like separating the logistics function to a line of capital ships dedicated to that purpose. The new titan doomsdays look like fun, and will make them a lot more interesting in battle – again, I expect this to contribute to a lot more destruction of capital ships, not to mention gobs of subcaps, too. Finally, tethering looks like it will get rid of station games forever – finally. No more being half in and half out – you will either be committed to battle, or not. Thank God – I’ve always hated that mechanic. In short, thumbs up and kudos to CCP. I can’t wait until the spring to see it all come to fruition. I’m especially keen to see how the new destroyer area-effect MJD will change things – my only disappointment is that they won’t work in high-sec space, alas. JEFFRAIDER: I’m pretty excited about football this year, you guys. I haven’t even looked at these changes. SpaceSaft: I can’t fly a cap and coincidentally don’t own one either, the homeworld style navigation seems interesting though. 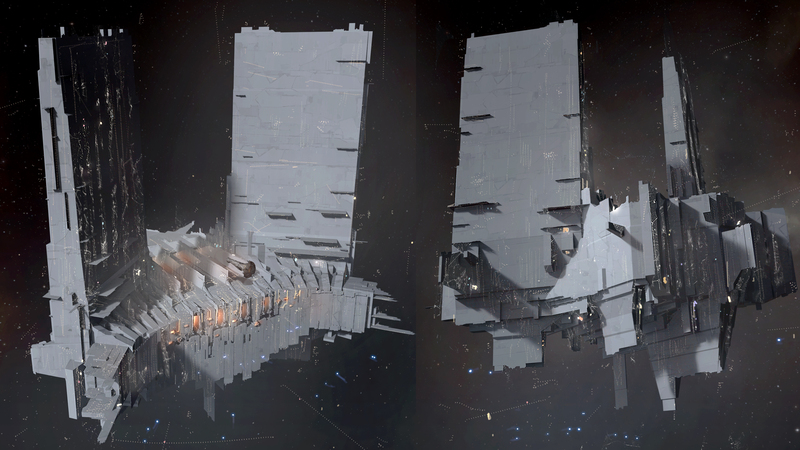 Regarding the citadels, I’m very ok with the solution that has been reached with assets in destroyed stations. I’m not too sure on the price of the XL, it seems a bit on the cheap side to me. It’s a bit sad that the smallest station with a market will be the L sized one, I don’t really see the harm in being able to sell things in medium sized ones. I am very much looking forward to the different things brain in a box will enable in the future. Niden: I’m going to echo what Neville is saying here, but in a different way. Given the milieu of my chosen lifestyle in EVE, all my training has been focused on subcaps and support skills. It wasn’t until Phoebe came that I even gave serious thought to flying a capital, and it was only recently that I acquired my first capital-related skills and stuck them into my training queue. I like my timing. As a gamer with a lot of background in RTS, I’m really looking forward to the changes coming to carriers. It feels very much carrier to sit there and command your fighters around the battlefield. I’m also excited about real fitting choices and having them matter in how capitals are fit. Capitals will now have specific roles, strengths and weaknesses. To me, the pantheon is just about the crudest and simplest brutal application of sheer wealth and SP. Hitting all the problems with the same club, over and over again. Just have everyone train into Archons and bring enough to make them unbreakable with RR. Although I will probably never be a titan pilot, the new doomsdays look fun and interesting to me. Again, the pilot is presented with interesting choices, allowing for creativity and ingenuity. It will be very interesting to see how the EHP of capitals changes. We are pretty certain that it will be lowered, but, speaking to Larrikin and Fozzie on the JEFFRAIDER Show, even CCP don’t seem to be sure by how much. It’s a matter of balancing it correctly against subcaps. Although I can be considered as nothing more than a novice in capital matters, I liked the idea Manfred Sideous presented of “ghetto” capitals: lower price, lower EHP. Make them be used more and explode more. This segways well into Citadels. After all, there is a shitload of money in EVE, and the players with all this money want something new and big to spend it on. If you make capitals a bit more “ghetto”, Citadels can fill that role. Citadels just feel right in every way. Being a physical manifestation of the geopolitical climate of EVE, I think they are the centrepiece of the future of our game. Especially considering that they will be in all areas of space. While being instrumental in the future of nullsec empire building and warfare, and key components in highsec wardecs, as mentioned by Jason, I even foresee them giving more texture and narrative to lowsec (something I spoke about in the latest Lowlife). They are the forts and castles in this story, built by players, destroyed by players. I hope that some day all structures in EVE will be player built, and we will truly have a sandbox entirely built by player hands. Although, that might be an unachievable utopian dream on my part. The expression “May you live in interesting times” is meant as a curse. However, I think those of us who are lucky enough to be here for this stage of the evolution of EVE Online will see a golden age of both creation and destruction. Old walls are being torn down to allow a whole new history to be written, at least, that is my hope. Certainly interesting, but in a good way. Apoth: Yes. All of my yes. So much yes. The only drawback I see is currently, as a small gang, a way to provoke fights from a null-inhabitant is to poke their undock with bubbles. In Large citadels your small gang is going to be dead before the residents notice you’re on grid. If there are ways for my small gang to force them away from the citadel grid, that’s great, but I’m not totally sure i’ve seen them yet. But sure, otherwise, all these change slook badass. We’re still early on so all the bitter assholes (old and new) are complaining about a lack of numbers etc, but CCP will get them to us when they have them. You can’t have both continued communication during the development process AND finalised details the moment everything is announced. We are entering a very exciting time for New Eden! Diana Olympos: So… Tons of things have been said. About capitals, it’s hard to talk. Everyone knows that PFR don’t have capitals. At all. It is known. Go along nothing to see! That’s said, the main problem so far about cap is that they were hard to kill for subcap. Due to their EHP, they had plenty of time to call for help (I’m talking of the medium fleet range here). Which means that if someone gets capital advantage locally, every other group should just forget about using any cap. Which is a bit sad. Especially when you have a subcap doctrine that needs triage, or blap dread that needs subcap help. So the EHP nerf is interesting. About Citadels, there is not a lot too add. No market on M size is understandable, especially from a defender point of view. Market orders can reach billions easily, and having that big of a commitment in the less defended structure would have been strange. Besides that, everything has been said. The new structures are how outpost and POS should have been in the first place. It’s nice to finally see that going back to some normal “Eve” game design. Just like the new capitals. 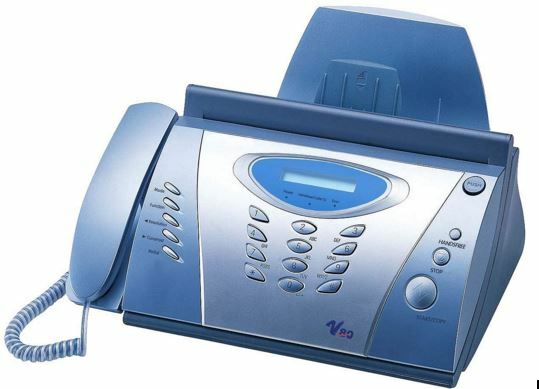 By the way, I’m surprised that not a single one of my fellow writer included an exclusive FAX image before. Here is for you a gallentean version.